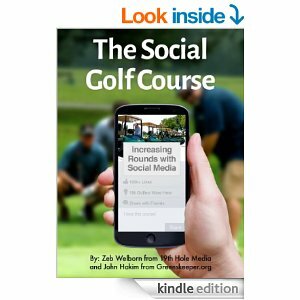 The Social Golf Course: Increasing Rounds with Social Media, written by Zeb Welborn of 19th Hole Media and John Hakim from Greenskeeper.org is an introduction to golf course marketing with social media. Social media is not just a marketing and sales tool. It creates word-of-mouth excitement. It can help build business. It can attract more golfers. Market your golf course more effectively in the 21st century with social media using tools like Facebook, Twitter, email marketing, blogs, Instagram, YouTube, Vine, LinkedIn, Greenskeeper.org, Google+ and much, much more. I found this book very helpful even though I don’t own a golf course. I think this book is relevant to any industry or business looking to become a “social” organization. We are living in such an interconnected world that every business has to find a way to consistently engage and create value for the people/community that they are serving. No consumer wants to be just another number. The alternative is slow attrition of your client base to your competitors. Different social media channels allow you to do just that. 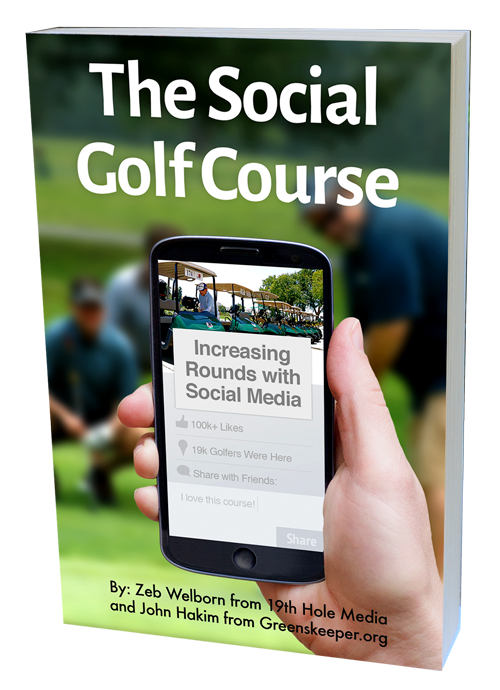 This book provides a strategic and tactical roadmap for you to create a “social” golf course business (but as I said before, the template can be applied to other industries/businesses as well). It is very well written. A must read. Even though it’s somewhat related to Golf Courses, the Social media marketing tactics can apply to any businesses. Whether you’re just starting out or already have a social media presence, this book tells you how to take it to the next level.It’s very well written and very easy to understand. I recommend it to anyone who wants to establish a social media presence for their business. Helpful ideas on starting or improving your social media presence. The Social Golf Course was a good read, that provided helpful information! I am looking forward to the website will be up March 14th so I can visit for additional information and ideas. The Social Golf course illuminates new ways for golf courses to promote the game and increase play — with social media. It’s thought-provoking not just for golf courses, but for any business dealing with consumers…Crisp writing by Zeb Welborn and John Hakim.